One of the most prolific tools on a carpenter’s job site, the chop saw allows you to cut wood to precise lengths quickly and efficiently. You can slice square or at any horizontal angle, or rotate up to 45 degrees for a beveled edge. 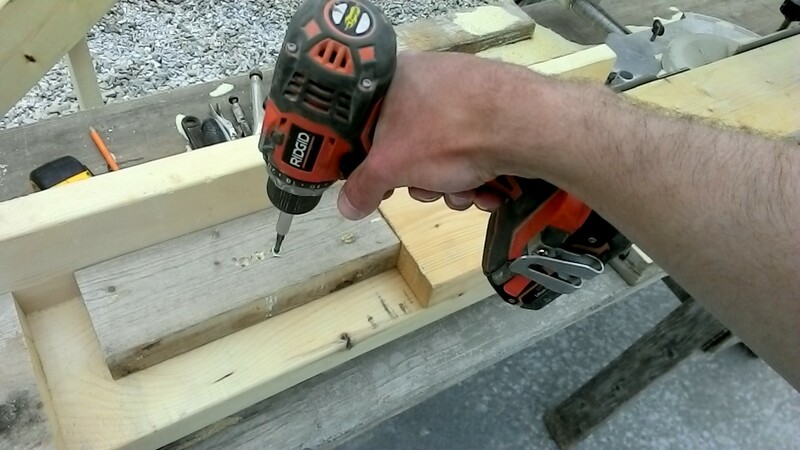 Cutting through dimension lumber like butter (or like steak if you happen to hit a knot), the chop saw is almost too easy to use… the reason many a careless carpenter has a stub for a finger. But follow some basic precautions and you’ll be fine. You can build a guide around the chop saw so it’s easy to feed lumber. 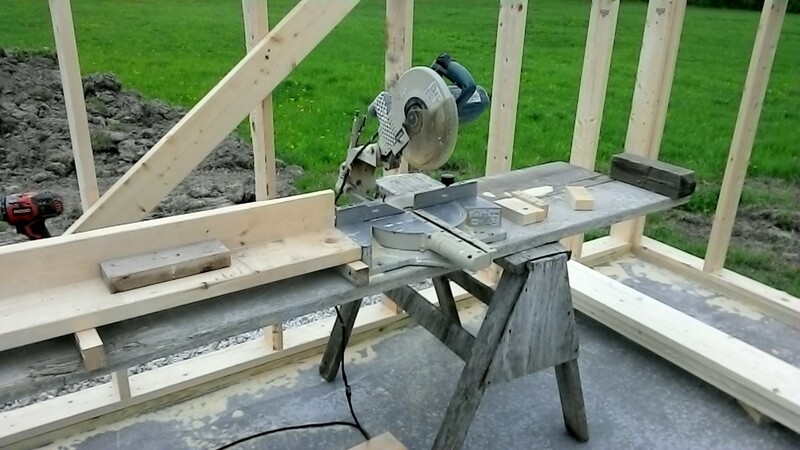 Lay some boards between two sawhorses, place the saw atop one, and build a “seat” the same height as the sawing surface and long enough to hold most lumber easily. (Ours is about 14 feet long.) Add a backer board so you can align and slide the boards each time you make a cut. 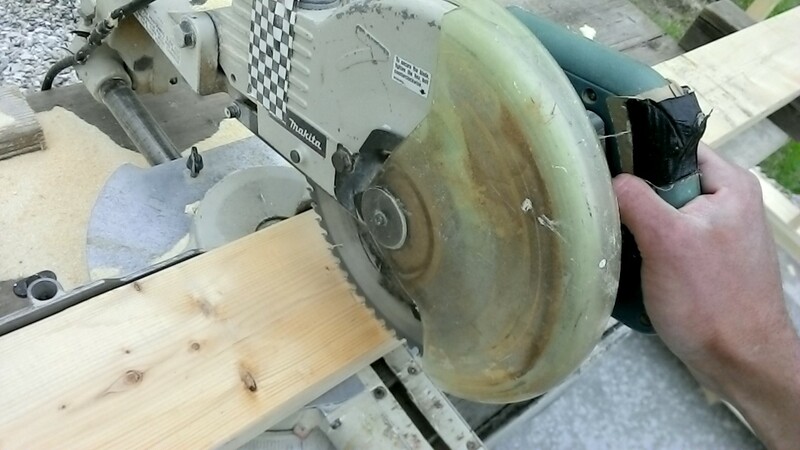 It’s also useful to build a small seat on the other side of the saw to catch the remaining wood after each slice. Measuring. The blocks between studs are mostly 22 1/2 inches, so I make lots of them. 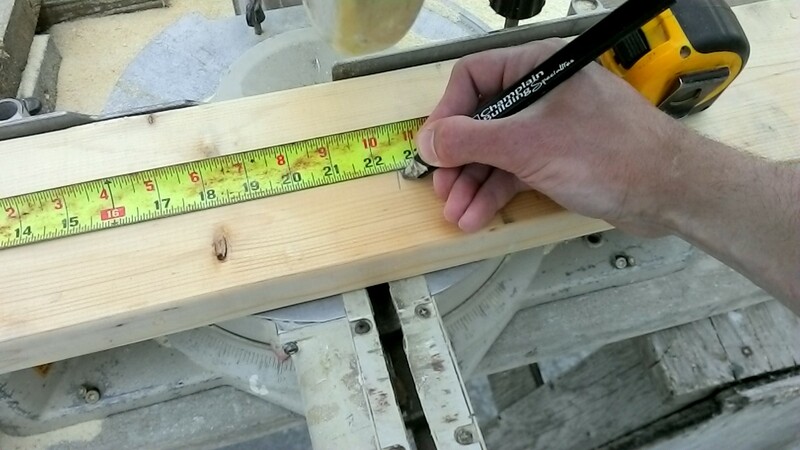 Measure the length you want and mark your lumber with a pencil. Line up the piece on the saw table, pull down the saw blade without turning it on, and make sure it will cut in the right place. The spinning blade makes the wood vibrate and cuts slightly wider than it looks like it should; it helps to make a shallow cut to check the location. (Measure twice, cut once.) When you’re ready to cut for real, wear safety glasses, hold the lumber steady with one hand at a safe distance, pull forward then down on the spinning blade handle in a chopping motion, and push back slowly to slice through the wood. Let go and allow the safety cover to slide back over the blade before you reach for the newly chopped lumber. Checking alignment with the saw blade. One saw can last a career if you replace the blade frequently and treat the machine with care; Terry’s is a 20-year-old Makita. He sums up chop saw safety as follows: the blade WANTS to chop off your hand, so check where both of them are every single time you turn the saw on. Three weeks into the job I still have ten fingers… so far so good.